These are a few of my favorite things..but really, you can count on any given day that I will have a candle burning. 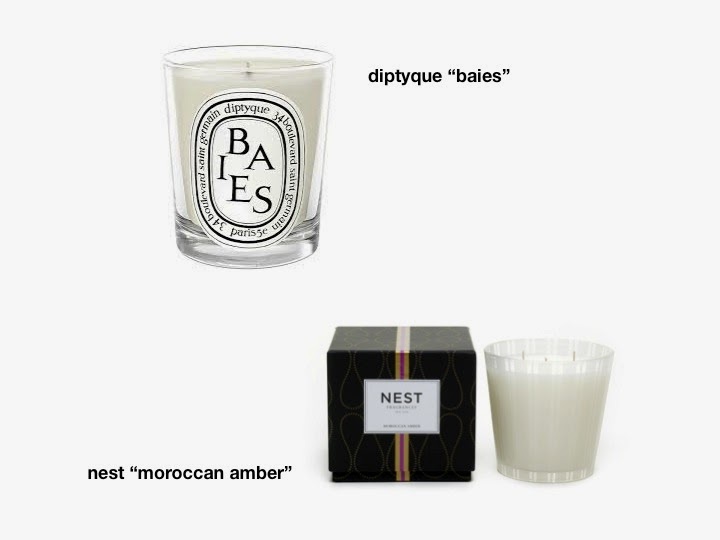 I received the "Baies" Diptyque candle for Christmas and I am obsessed. I still have about half left and try and use sparingly to make sure it lasts until my birthday ;) I am also a huge fan of Nest fragrances. Not only do they smell wonderfully, but also they are at a wonderful price-point. "Moroccan Amber" is my go-to, but I am dying to try some of their new scents for Spring. Maybe it's just me (there is no way it's just me), but does anyone else notice the scent that fills the air when you walk into an Anthropologie? 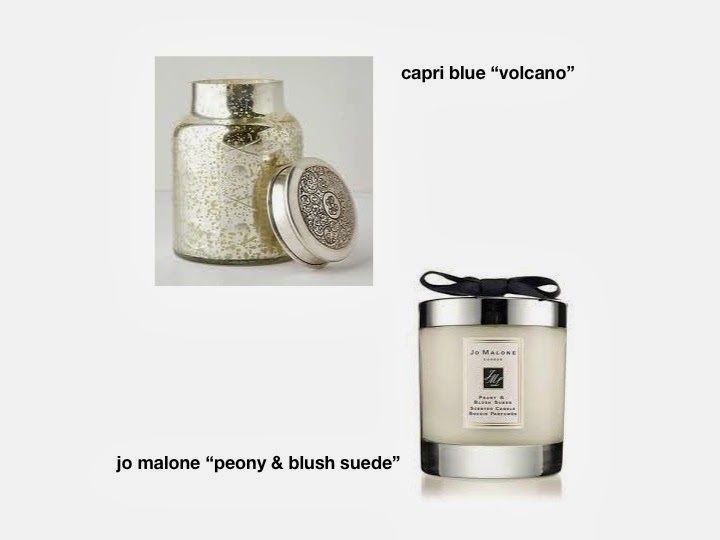 It is a good thing they always have a full stock of their signature Capri Blue "Volcano" candle for all the suckers like me. Last, but definitely not least, is the Jo Malone candle. Their perfumes are out of this world, so being able to have the "Peony & Blush Suede" in candle form is simply scentsational.